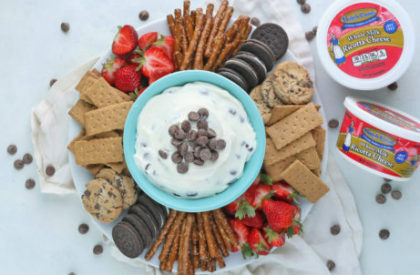 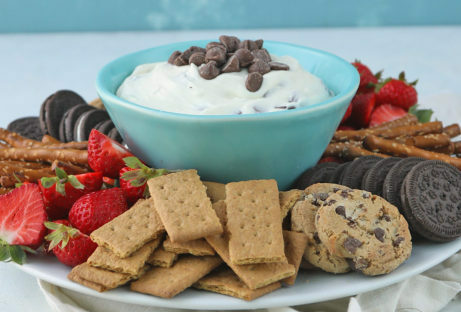 Assorted Dippers: graham crackers, cookies, fruit, pretzels, etc. 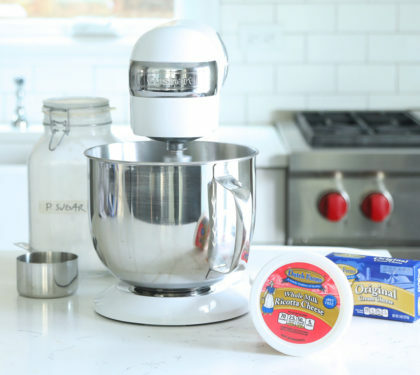 Place the cream cheese and ricotta in a stand mixer with the paddle attachment and whip on high speed until light and fluffy, about 5 to 6 minutes. 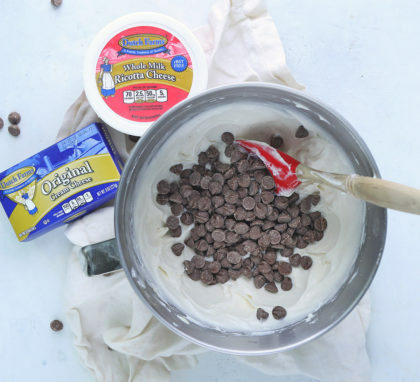 Next, add in the powdered sugar and vanilla and whip on medium speed for 3 to 4 minutes. 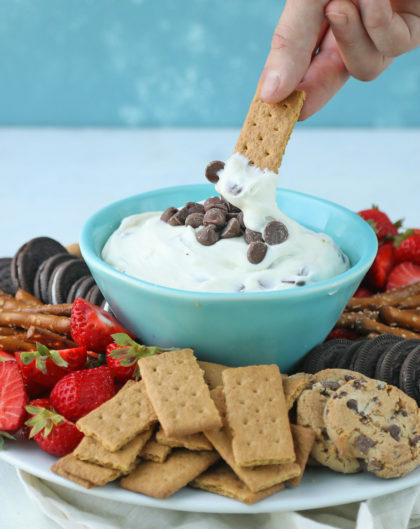 Fold in the chocolate chips and chill before serving alongside dippers of your choice.